The conflict, which became known as the humanist-theist conflict, was sharp and protracted. Congregations split, members left, ministers lost their careers, stained glass windows were removed or covered up, hymns re-written, liturgies changed. 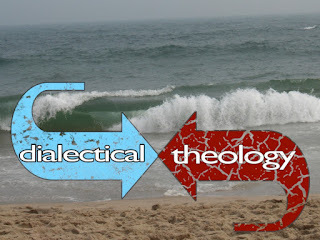 But before either denomination formally split, the controversy was defused by a turn toward a pluralistic agnosticism. Both sides tacitly agreed that no one knew the whole truth, and that therefore, multiple and competing theological perspectives could co-exist in the same worshipping community. The merger of the AUA and UCA took place well into the history of the humanist-theist conflict. By 1961, Humanism was dominant in both denominations, but in a tense series of negotiations, just enough room for Liberal Protestantism was preserved in the new denomination to maintain the support and participation of liberal Christians and other theists. Merger cemented the consensus: The prevailing theological perspective was an "agnostic pluralism" and UU liturgy was conducted, in most places, with a humanist language set. A small minority of congregations continued to use Liberal Protestant or otherwise theistic liturgies. The humanist language set became the official language of UUism at the time of merger and ever since. The turn toward Pluralistic Agnosticism set the stage for Unitarian Universalists to be inspired a wider diversity of theological perspectives: mysticism, world religions which were included in the original Sources statement. The inclusion of the 6th Source established an institutional process by which additional Sources could become official acknowledged. 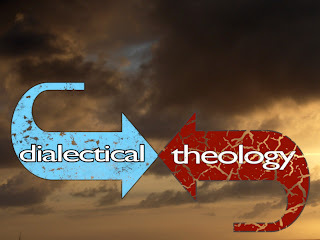 While the diversity of theological perspectives has become a centrifugal force in Unitarian Universalism, it is has been offset by the centripetal, or unifying, force of our public theology. Our public theology is our theological understanding of our work in the world, or mission. Our public theology is expressed in the Seven Principles, which have also continued to be developed over time. The most important development in the Seven Principles has been the further commitment to become an anti-racist, anti-oppressive, multicultural religious movement. Comment: This is what I consider to be a thumbnail sketch of the story behind the Sources statement. This history, however, is only a part of a larger history, which I think needs to uncovered. The question is this: how does the story we tell about ourselves hide the decisions that were made to keep black religious liberals out of power in the UUA? Tom, do you see a further evolution since the merger in use of language? While I would agree that humanist language has largely predominated in my own limited time (about 15 years) as a UU I've also seen an increase in the use of traditional language in recent years -- describing a service as worship, references to God cropping up more frequently etc. I recall that William Sinkford called for more openness to the language of reverence. I welcome these changes, and think that along with the use of humanist language, they make us more not less welcoming, but am curious if what I'm seeing in one congregation is part of a larger trend in your view. 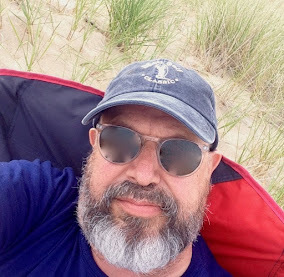 Someone told me that nonchristian theism was a growing trend among UUs, and that applied so well to my congregation that we hired a theistic assistant minister to complement our humanistic senior minister. I confess that if the hiring body had asked me if I would like an advocate for the deity, I would have said no thanks. For a while, the new guy's brief addresses to God bugged me, and I wondered if I should switch to the hard-core humanist congregation across town. But I came to appreciate his perspective (without adopting it). And I didn't really want to leave the lively community I'd belonged to for 37 years. The theistic crowd is open-minded and strong-minded enough to accept me, so I will reciprocate. Anyway, after 5 years the new guy was so successful he was recruited away from us. He has many skills and is as zealous for social justice as our senior minister, who I am sure misses him sorely. And I've come to appreciate sermons form different perspectives coming from the same pulpit.